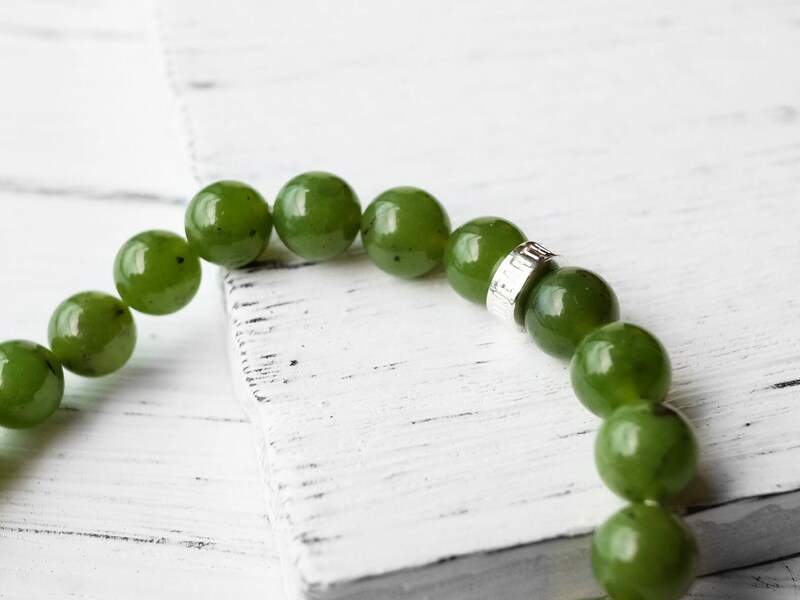 Nephrite is one of the two minerals commonly known as jade (the other one being jadeite). 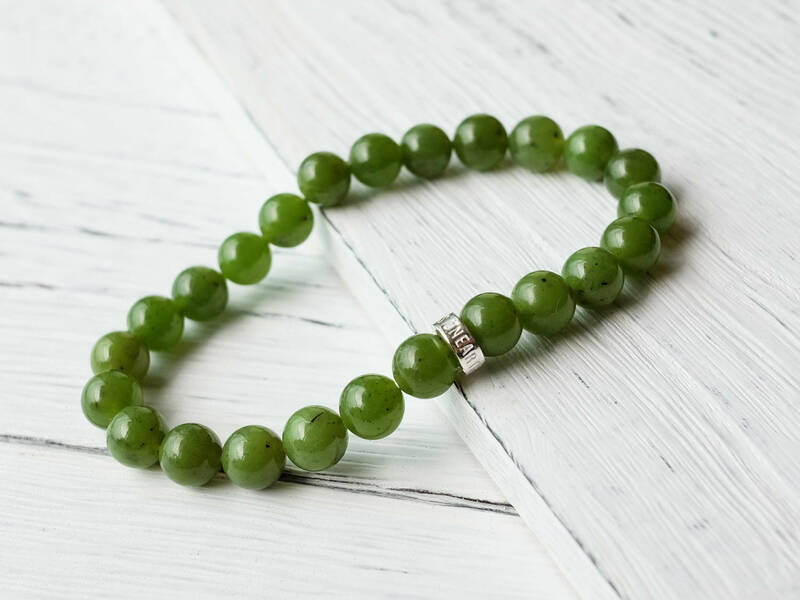 Nephrite is a compact form of either the mineral tremolite or actinolite, both of which are very similar. 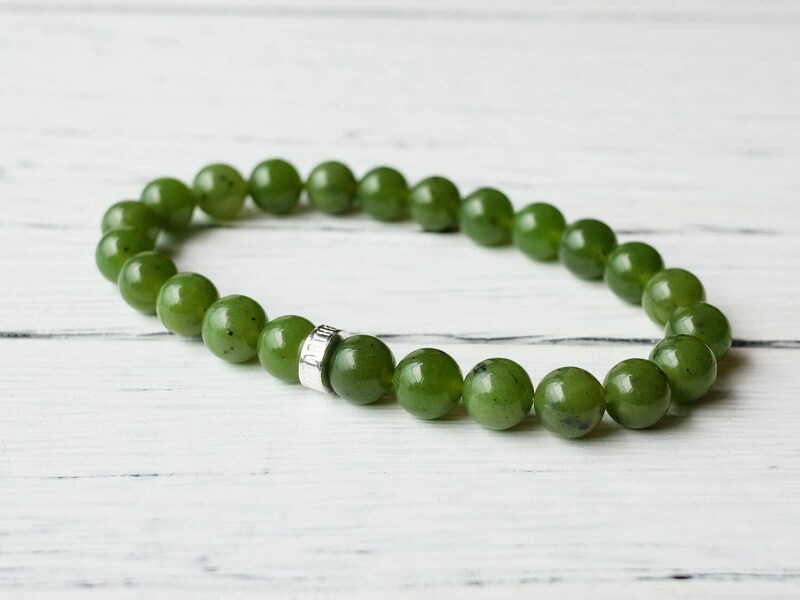 The green of this natural nephrite jade bracelet is rich and consistent. Some black spots are present in the stone, but overall quality is very good. 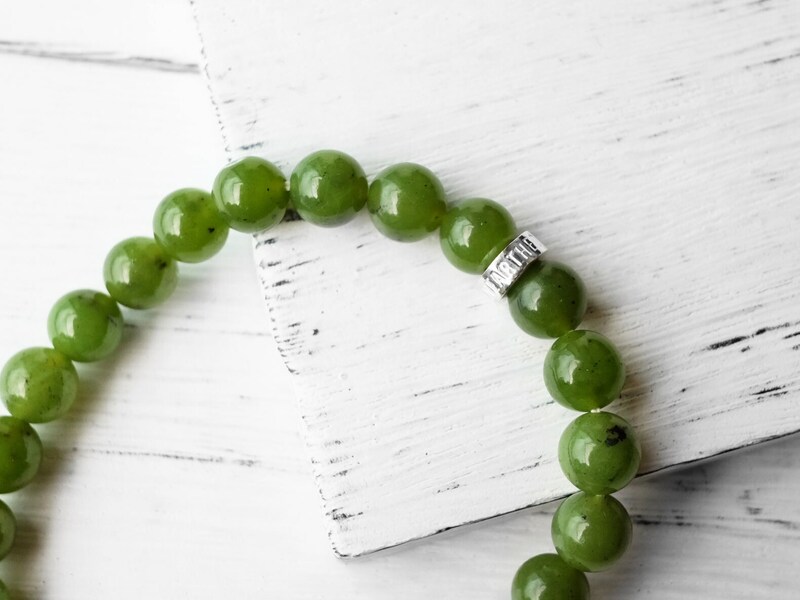 With the Unearthed Gemstones sterling silver, this bracelet is a great way to wear this nephrite jade bracelet. 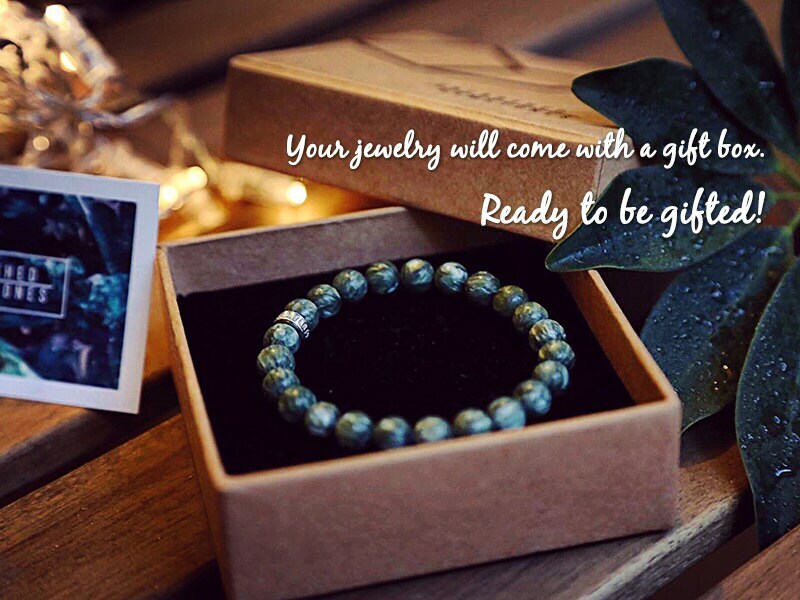 Love the bracelets! Andy was amazing, helpful and very informative! They came in great packaging as well. 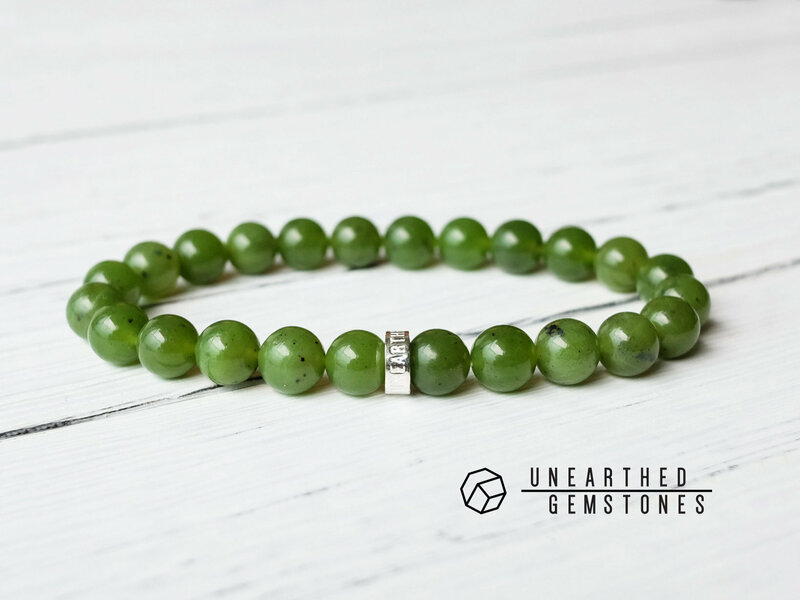 As for quality, the stones are great. 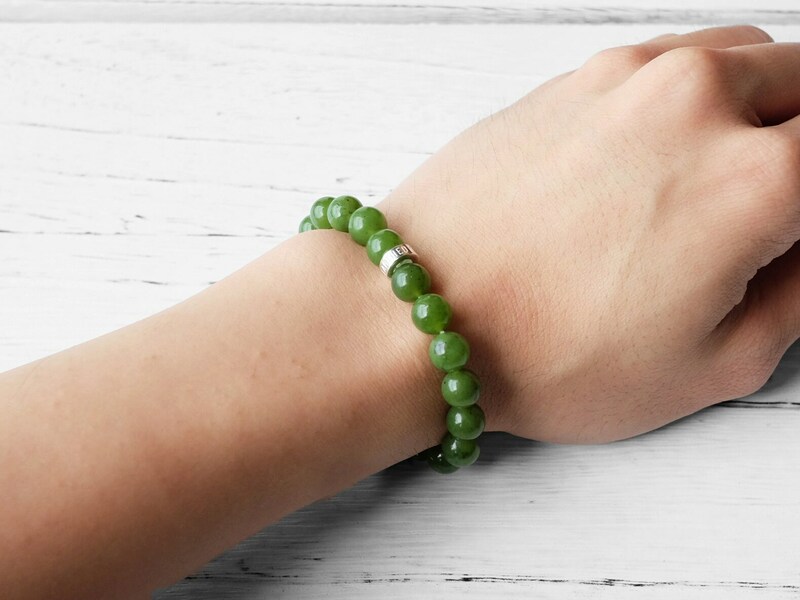 However, the picture for the nephrite jade seemed darker? Maybe because of the professional photography. The bracelet I got has a lighter shade. Nonetheless, everything else is satisfactory. My sister in law loves her bracelet too. It is the year of the dog and we both have one! It fits very nicely and is beautiful quality.